real Myst: Masterpiece Edition is a beautifully updated version of real MYST for today’s Mac and Windows computers – celebrating the 20th anniversary of Myst! The worlds have been reconstructed and enhanced to provide realistic water, changing weather, dynamic lighting, life-like foliage, bloom and other camera effects, and more. We’ve even redesigned the interface to provide an enjoyable way to explore for both novices and gamers. real Myst: Masterpiece Edition – this is not your father’s Myst! It’s been 20 years since Myst became your world, and there’s never been a better time to revisit the Ages. 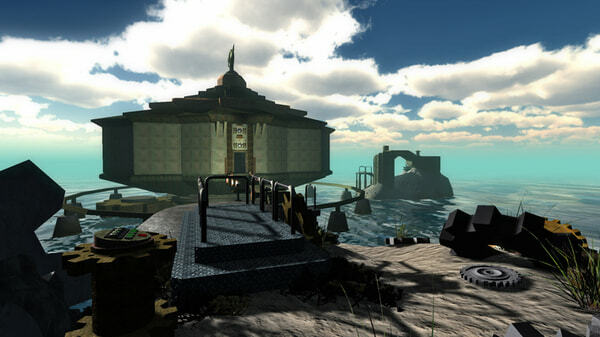 This newly refreshed and rebuilt version of real Myst is all-things Myst, but amazingly more real. You can explore anywhere, unfettered, and in realtime! Pick your own path through the forest on Myst Island. Listen to the crickets as the sun sets in the Channelwood Age. Relax in the falling leaves in the Selenitic Age. Spin around for a full 360 degree tour of Sirrus’ throne room. Seek shelter from the thunderstorm in Stoneship Age. 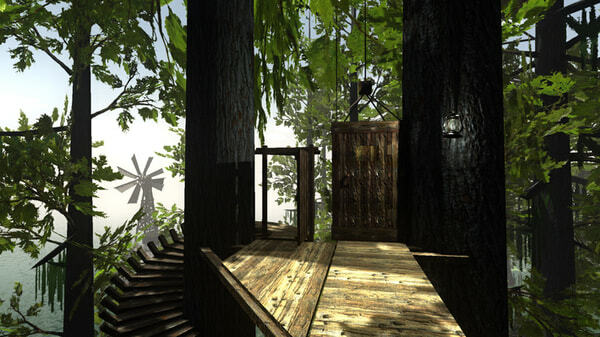 And If you’ve ever been overwhelmed by realtime 3D – too many controls or too much motion – real Myst has something for you! You have the option to play the game just like the original Myst – with a simple point and click! Point where you want to go – click the mouse and you move through the world seamlessly to the new location. As a tribute to Myst’s 20th anniversary we’ve also added the original Myst images when you play in this Classic mode. Hold down the shift key and the original Myst image pops up, so you can see the difference and fondly remember that early Myst experience. We’ve added plenty of new features to enhance and assist you on your journey. So whether you’re visiting Myst for the first time or you want to remember the first time – there’s never been a better reason to lose yourself and let the surrealistic Ages of real Myst become your world. – All the original Myst Ages plus bonus Rime Age. – Dynamic environments – rippling water, falling rain, waving trees & grass, with advanced graphic effects like bloom, blur, depth of field, etc. – Day and night – watch sunsets and sunrises, or explore at night. 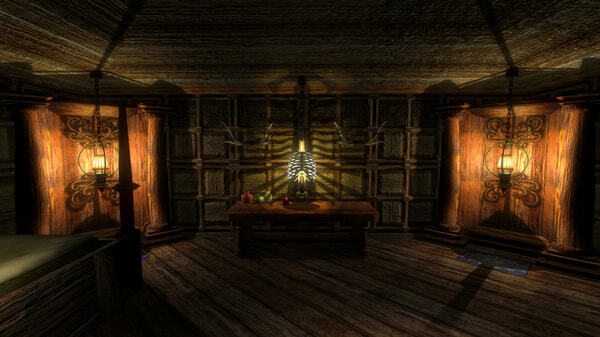 – Haunting Myst music score and dynamic 3D sounds. – Classic Point & Click navigation option – just like original Myst. – real Myst Hint Guide – get past that one puzzle that’s got you stumped. Windows XP / Vista / 7 / 8 / 10, Processor: Intel Core 2 Duo 2.2 GHz / Athlon x2 2.0 GHz, Memory: 4 GB RAM, Graphics: 512 MB DirectX 9.0c SM 3.0 compliant video card, Hard Drive: 3 GB available space. Sound Card: DirectX compatible sound card with latest drivers. 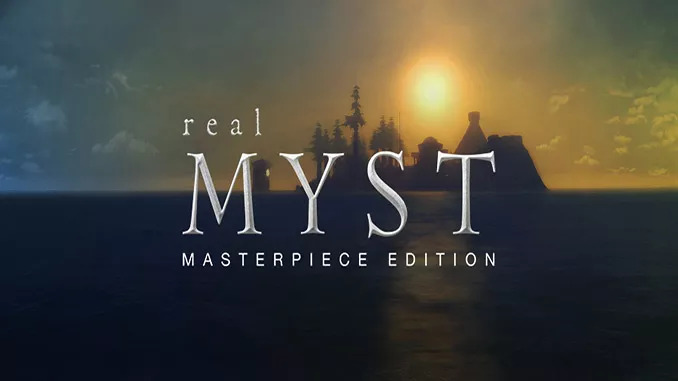 real Myst: Masterpiece Edition v2.0 is now available! We’ve been busy polishing, shining, cleaning, fixing, tuning, and just generally improving the realMyst experience. This new version is better than ever – here’s a list of some of the things we worked on. One of the following (magnet) is not a registered protocol or is not allowed in this context. Malwarebyes anti-malware blocks it as having a malicious threat. Thank you for visiting our site, most of the antivirus will block torrent downloads as they are prone to viruses. That is why we are here to test all the download links we post here our site to make sure that they are all virus free. But if you are really worried about virus please do not continue to download we are so sorry for the inconvenience. Hi, Minor issue. When I install, download, and run the game, I see the intro cutscene and pick up the Myst book in the space view, but the book disappears as soon as it comes close to my face and then I am sent to a loading screen, where afterwards I am in the first location of the game (On the pier) with no way to move or do anything whatsoever (Not even pressing esc does anything). Suggestions? Hi Tristan Collins, really sorry to hear that. we really do not know what cause this. can you please tell us your system specs and/or OS? have you tried to configure the video settings in the game? please make sure you have all the needed software (like directx, visual c++) from microsoft you can read about that in our FAQs page. I looked at the FAQ, but nothing useful to my situation there. I took a screenshot of what I am looking at. I know I am supposed to see two boxes that say classic or free roam (Movement wise), but I don’t see them and am just standing on the pier with no way to move. Esc doesn’t open a menu and the only way to quit the application is Ctrl+Alt+Del or I press the windows key. Is there any way I can send the screenshot? Thanks! Ok, actually, screenshots don’t capture the game but rather my desktop background, so that doesn’t work. I ran compatability mode on Windows 8 and XP Service Pack 2. I also did Dpi settings differently a few times and I can also say my graphics card is windows 7 on a windows 10 computer (It was refurbished). Would that have been my problem? Other than that, my computer is HP, and I got it from Micro Center, and they wouldn’t tell me much about the work that was done on it (Processor, What kind of Graphics Card, etc.) and I haven’t taken it apart quite yet. Just downloaded and running with no problems. It includes the entire GOG package, including dev images, the manual and the wallpaper. Everything with 100% reliability using uTorrent client. Riven, exile and revelation are also available on gog, could you add downloads for these?